The lineup of JCB backhoe loaders is represented by 10 basic models of machines made in more than 30 variations. The line starts with small models of Mini CX and 1СХ and ends with large powerful models of 4 CX, 4СХ Super and released in 2012 5CX. If we talk about machines introduced before 2012, then their power varies from 15 to 75 kW, the depth of digging is within 2.54-6.14 meters. Backhoe loaders can reach speeds of up to 40 km / h, while the mass of these machines is between 2.8 and 8.5 tons. Backhoe loader JCB 5CX, the most powerful model in the company's lineup, has wheels of the same size and four-wheel drive. The machine has a 120 hp engine. standard Tier 2. JCB backhoe loaders can additionally be equipped with attachments, which significantly expands the scope of these machines. The list of replacement equipment for JCB backhoe loaders is quite large. It includes more than 40 types of buckets intended for excavating attachments, hydraulic hammers, front buckets of different capacity and design (including with side tipping), buckets for special work, road mills, equipment for digging trees, drills, road brushes with a width from 150 to 1100 mm, scrapers, seals, mowers, trenchers and grippers. There is also a large assortment of hand-held equipment that connects to the hydraulic system of the backhoe loader: drills, jackhammers, perforators, water pumps and disk cutters. These tools can work in parallel with the excavator. 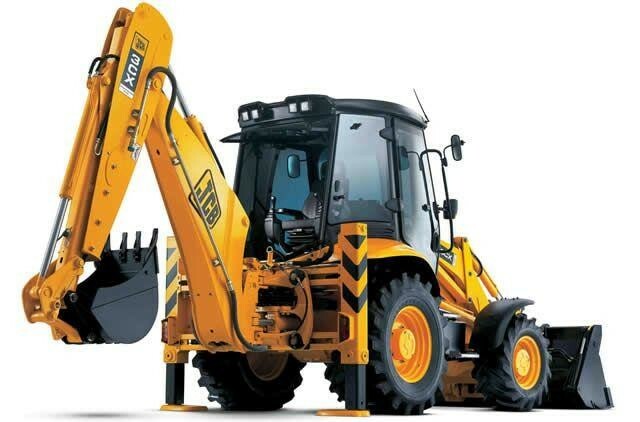 The standard JCB backhoe loader system allows the use of other manufacturers' equipment. 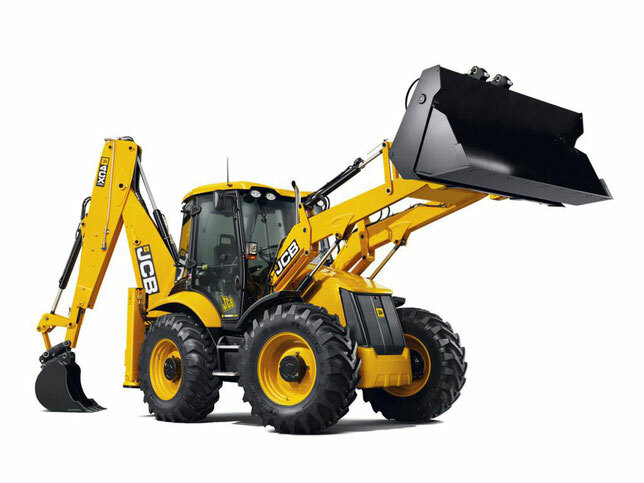 Also, JCB backhoe loaders can be equipped with special tools developed by JCB specialists, such as a system for compensating for vibrations during travel, a mechanism for hydraulically moving the excavator rig, a mechanism for telescopic extension of the handle, adjustable slip cushions for outriggers.